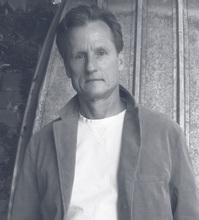 Mark Wisniewski’s poems have appeared in Poetry, New York Quarterly, Prairie Schooner, Hiram Poetry Review, Confrontation, Post Road, and Poetry International. His second novel, Show Up, Look Good, was praised by Ben Fountain, Christine Sneed, Jonathan Lethem, and T. R. Hummer. His fiction has won a Pushcart Prize and appeared in Best American Short Stories.